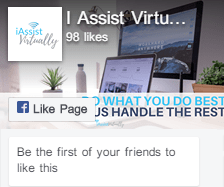 iAssist Virtually exists to provide virtual assistant and digital marketing services to help overwhelmed business owners start living the good life. Most entrepreneurs start off full of enthusiasm, but inevitably that fire is quenched by the unrelenting backend tech tasks and digital marketing that are needed to efficiently run a business. The entrepreneur works more and more while the business is stuck, unable to grow because the vision is being clouded by analysis paralysis, technology overwhelm, complicated projects, and a lack of support. 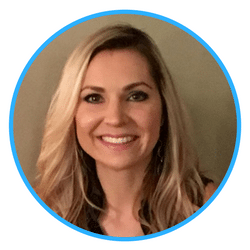 The founder of iAssist Virtually, Sherri Stotler, is an entrepreneur, blogger, wife, and mom. Knowing how frustrating it can be to be productive and effective with 24 hours to work with, she set out to help other business owners succeed. She also manages the blog Making It Pay To Stay, is the owner of Quantum Design Marketing, and provides digital templates on her Etsy Store. With over 15 years of experience in website design, marketing, and administrative assisting (both onsite and virtually), with a specialty in project management, Sherri’s equipped to handle many of your business’s day-to-day responsibilities. You can work with Sherri directly as she partners with your current team, or allow us to provide a full-service team equipped with a vast array of skills. 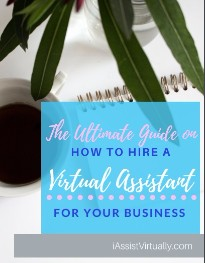 We have a team of virtual assistants with specific specialties in every service we offer. That’s the beauty of working with an online business manager – we handle all of the details so you don’t have to anymore. Let’s be honest, there isn’t enough time in a day for you to shoulder the burden of every aspect of running a business. Delegating your projects, digital marketing, and launches will free up more of your time to focus on doing what you do best. Don’t waste more time wishing you had the help – let us make your life and job easier while your business grows. Check out our SERVICES and FAQ sections to see just a sampling of how we can serve you. Once you decide what you or your business needs, or if you need help in deciding how we can work together, please contact us. You’ll receive a Prospective Client Questionnaire that will help us learn how we can best serve you, and then we’ll schedule a kick-off call to meet you via Zoom meeting or phone call. Whatever is most convenient for you. This is your opportunity to tell us what frustrates you, what costs you too much money, what you want to avoid, and what you want to achieve. You can share your vision of what kind of a lifestyle you want to lead and we’ll strategize on how we can achieve your business goals!